There have been some questions arising recently about quick ways to get back to Inbox by Gmail after going to your contacts page. With the introduction of the new Contacts Preview, contacts now open in a new tab instead of the same page as classic contacts in classic Gmail. 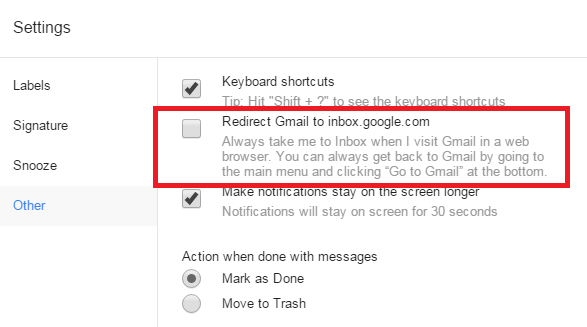 That being said, it should be simple enough for users to just switch back to the tab that Inbox by Gmail is open in, however I wanted to give a quick alternative method as well. As many of you may recall, about 6 weeks ago Inbox by Gmail introduced a new setting that would redirect Gmail to inbox.google.com You can read more about that here. 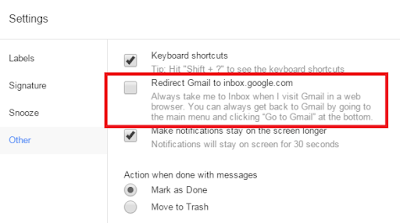 In order for my alternative method to work - you will need to activate the redirect Gmail to Inbox in settings. Once you have that turned on, just click on the Google Apps launcher on the top right of the screen and select the Gmail app. This will open yet another tab and bring you to Inbox by Gmail.